Coming from a broken home, Pamela Roller struggled early in her academic journey. It wasn’t until her mom got remarried that her life turned around, and her performance in school skyrocketed. When Ms. Roller saw other students struggling, she felt like she was well equipped to help because of her background. She understood the difficulties they were facing and was determined to make a difference. Thus, Ms. Roller took a class her senior year in high school called Exploratory Teaching that let her spend an hour every day helping at the elementary school, and she knew she had found her niche. She proceeded to obtain a Bachelor of Science Degree from Indiana University Kokomo in 1974 and a Master of Science Degree in Education from Indiana University–Purdue University Indianapolis in 1976. Degrees in hand, Ms. Roller quickly jumped into the field. Her first position was a 5th and 6th grade math teacher at the Southeastern School Corporation, and she loved the district so much she remained there for the rest of her career. Over the years, Ms. Roller also served as a 1st and 2nd grade teacher, and as a 1st grade readiness teacher, and retired in 2018. She put her entire heart into her work, and was proud to have had an impact on so many students. A notable achievement for her was the development of a classroom business called Chocolate Lollipops, Inc., which earned more than $5,000 for charity. Earnings were given to Riley Children’s Hospital, Operation Smile, Wheel Chair Foundation, a memorial scholarship in memory of a former student, St. Jude’s Children’s Hospital, donating to a liver transplant recipient, adopting animals at the Indianapolis Zoo, and many other local charities and causes. With the help of family, friends, church missionaries, and school connections, the Chocolate Lollipops were sent around the globe. One of Ms. Roller’s passions was aerospace education. She went to Space Camp for Educators in Huntsville, Alabama in 1988 for a week, and made many connections. This allowed her to bring astronauts and others in the field to her classroom, her school, and schools in surrounding counties for presentations. It was a wonderful experience for many students and educators. Ms. Roller received an Aerospace Education Endorsement K-12 from Purdue University. She studied abroad to participate in International Space Science Education in Russia in 1991 and again in 1994. Ms. Roller had a mock space shuttle simulator in her classroom and she served as a flight director for a program she created, Mission Possible, from 1996 to 2006. She spent three decades sharing her passion for space exploration in her classroom and by starting an after school program called Young Astronauts for students in grades 1-6, preparing students for missions at the Challenger Learning Center, offering space mission opportunities on Saturdays and during the summer at Indiana University at Kokomo and Purdue University, and ultimately going the distance by taking students on field trips to the Space and Rocket Center in Huntsville, Alabama, and to the Kennedy Space Center in Florida. Ms. Roller has shared her aerospace experiences at workshops, conferences, and conventions at the state, national, and international levels. Another interest was baton twirling, which Ms. Roller did for 22 years. She ended up becoming an instructor for a variety of ages, and not only did they twirl and march in parades during the summer, but they also spent the off-season entertaining in nursing homes. It brought smiles to the residents they performed for. Ms. Roller’s love of our country and respect for our veterans led to her participation in Senator Richard Lugar’s U.S. History Project. She interviewed over forty U.S. servicemen and servicewomen from all five branches of the military for the Library of Congress. She devoted her time from 2004-2018 coordinating Veteran’s Day Programs for Southeastern Elementary Schools. Ms. Roller’s deep respect and appreciation for senior citizens led to her performing Hawaiian entertainment for nearly fifty years to shut-ins and residents at many local and surrounding nursing homes, assisted living facilities, and at civic events. This has been another way she has gratefully given back to her community. She spent thirty years presenting her successful classroom teaching strategies and techniques to teachers around the state, across our nation, and abroad. Outside of the classroom, Ms. Roller enjoys spreading her knowledge through writing. 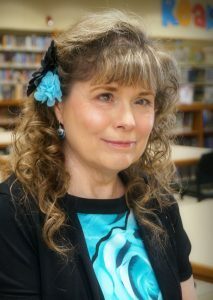 She authored “My Mother’s Graceful Inspiration” in 2008, and also helped her stepfather write a book called “Hidden Memories of WWII.” Additionally, she has written a variety of articles in reading, mathematics, writing, and science for author Randi Stone’s “Best Practices in Teaching” as well as “Best Classroom Management for Reaching All Learners.” Moving forward, she hopes to publish another book, this time to highlight the success she has had in the classroom for the benefit of the younger generations.